You have probably heard about it already; microdermabrasion is a safe, non-invasive treatment that uses a tool to remove dead skin cells and initiate cellular turnover. Not only is this treatment safer than cosmetic surgery, but it is also much more cost-efficient. If you have been interested in learning more about this facial treatment technique, you are not alone. 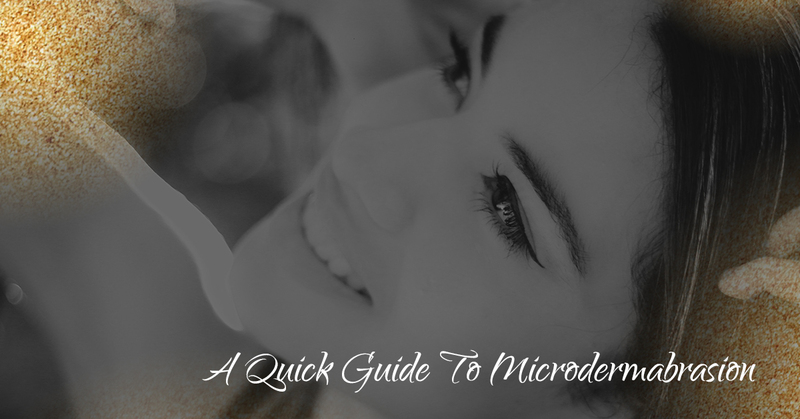 Lucilky, in this blog, I will share a quick beginners guide to microdermabrasion. As we began touching on above, microdermabrasion is a non-chemical, non-invasive, superficial facial treatment technique that involves using tiny crystals to exfoliate the top layer of dead skin. Using a handheld device that uses superfine crystals, an esthetician will gently remove dead skin cells, which in turn helps speed up cell turnover to reveal healthy, youthful skin. The benefits of microdermabrasion include — but are not limited to — improving oily or dull skin, removing clogged pores, fine lines, and even acne scars. What to Expect During Microdermabrasion Treatment? Generally, softer and smoother skin that feels fresher and more rejuvenated is the expected outcome after a session of microdermabrasion. Since these treatments are non-surgical, a microdermabrasion service does not take long at all. The treatment takes no longer than an hour to complete and is usually repeated about every 10-14 days for a six-week period for best results. Many clients do not find the treatment painful or uncomfortable. Again, because it works on the uppermost layer of the skin, there are little to no issues in terms of microdermabrasion side effects. Typical care following a microdermabrasion session includes the use of moisturizers and sunscreens, and avoiding sun exposure for a few days. Microdermabrasion is a very useful skin care treatment for people with dull skin, clogged pores, mild acne, discoloration or uneven pigmentation, poor skin texture, and very superficial acne scars. Individuals with deeper acne scars may require an extended series of treatments for the best results. Since microdermabrasion is good for all skin types, many individuals can benefit from this cosmetic treatment. If you are suffering from one of the skin complications issued above, microdermabrasion may be right for you! With spa and skincare services dedicated to the physical and mental renewal of clients, Nichole Lynn Esthetics offers a wide array of services in skin care, including microdermabrasion. As a licensed and experienced esthetician, I strive to help others establish an effective treatment plan and skin care routine to help them look and feel their best! With my state-of-the-art resurfacing treatment, I can help you with the reduction of fine wrinkles, sun damaged skin, age spots, hyperpigmentation, reduction of acne scarring and other minor scar revisions, reduction of oily skin, extraction of blackheads and whiteheads, blending of cosmetic surgery or laser treatments, and the rejuvenation of your overall skin health. If you are searching for microdermabrasion in San Jose, contact Nichole Lynn Esthetics or schedule a microdermabrasion session today!